This is going to be a combination of show-and-tell, reflective journal and place for SB appreciators to hang out. I am a default Standardbred appreciator because my parents started breeding, training and racing them when I was still at school. 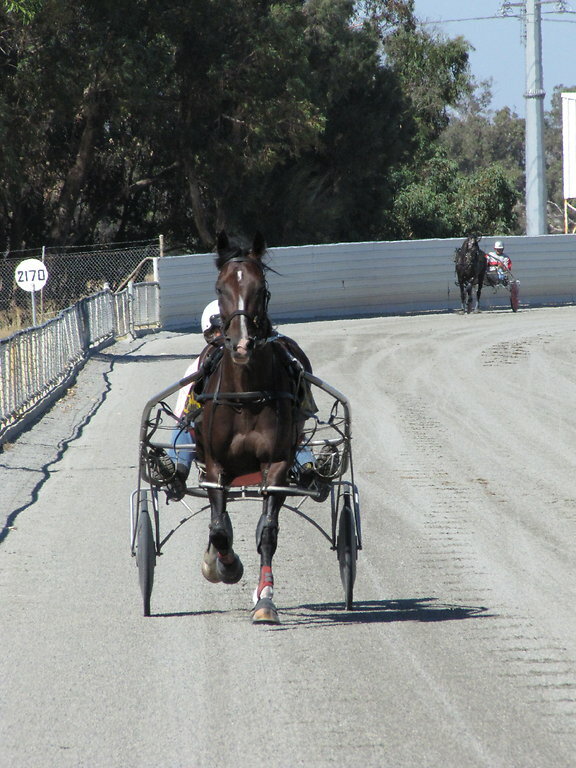 My father is still training and racing a trio of young horses and at age 75 is, as far as I know, the oldest reinsman still driving in races in Western Australia. I am in the 40+ social group at HF and, when DH and I recently exchanged farms with my parents for a long weekend to give them a change of scenery for my mother's 75th, and I brought photos back to my group, the idea dawned on me that this might make a nice general thread starter on Standardbreds and other Trotting breeds, their harness and ridden training, converting an OTSB for riding, etc. So here goes, starting just with that, cut-and-paste, and I'll fill in the history with more detail later, and answer any questions that might arise. Stable row: Chip, (Frog not looking), Dezba, La Jolie, Rosie, La Cherie. Two other horses use walk-in-walk-out night quarters, not photographed here. My father was around the same age I am now when, 30 years ago, he decided he'd had enough of working in an office fulltime, bought a very inexpensive piece of bush in Australia, and built the stables and shed himself, with one offsider. He taught himself to lay bricks and to do roof framing and cladding. Then he started training and racing trotters. He even bred them at one point, but did much better with horses he bought in or rescued, often horses that needed "fixing" in some way: He said recently that when you breed, you don't know what you're going to get; when you buy, you can see what you're going to get. Chip was impulse bought inexpensively at a yearling sale, was small and wasn't particularly famously bred, but Dad just liked the look of him and his nature. I was in my early 20s and said to him, "Did you really need another horse?" and he said, "If he doesn't go you can have him, he's so pretty and a real character." As it turned out, he did go all right: Was my father's most successful horse - won 10 times, including 4 metropolitan races, and placed 19 times. We also rode him. 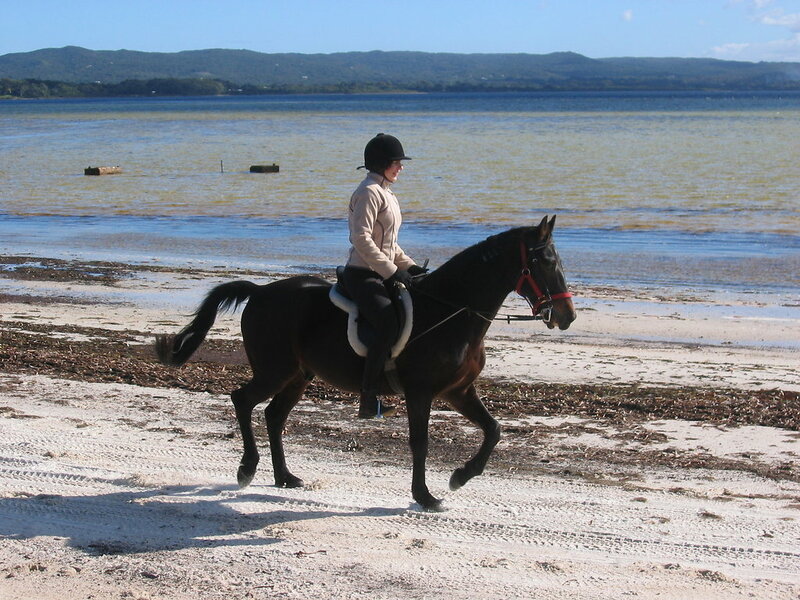 I took him to a 25km short endurance event between metropolitan races once and he breezed home in that as well. He was retired paddock sound with a spinal injury he got from running head-first into a tree when playing. He is now 23. Koolio, Celeste, Northernstar and 8 others like this. Wallaby, Remali, SEAmom and 13 others like this. Classic Julian was the single foal my father was able to breed out of his most successful race mare ever, Classic Juliet. Like my Sunsmart he is by the US import The Sunbird Hanover, whom my father stood at stud at the tail end of his career when his owner was paralysed in a traffic accident, in return for a couple of foals from his own mares. Julian is a lovely horse, but smaller than either of his parents, and although he quickly won twice at the start of his racing career, something went mysteriously wrong with him health-wise and after that, he only placed a couple of times until retirement. Typical of the frequent lack of logic of horse breeding, this was our best bred horse ever - champions through both sides of the pedigree, successful parents - but ended up performing below average. His mother, Classic Juliet, was one of the old generation of bought-in horses, acquired as a weanling, and one of the first horses my father raced. She won 7 times and placed 10 times, including in metro races, before breaking a notch off a knee joint that made her likely to injure herself with further racing, so she was retired. She was my Romeo's younger full sister and died last year aged 27. Classic Julian is 14. Next we have Torrific Girl (left), a young mare my father bought when Julian retired, who is currently trialling and learning to race, and Sunset Coast (right), another foal from the old generation of mares my father drove. Sunset Coast is by The Sunbird Hanover and out of Mediterranean, who was a good country race mare, notching up 3 wins and 15 placings while taking my father through the process of becoming a licensed reinsman in the late 1980s. Sunset Coast was very talented, but involved in several horrific racing accidents she never got over psychologically, and retired after a floating accident that tore a huge hole in her inner thigh. She is now 18 years old. Koolio, Celeste, Northernstar and 6 others like this. Remali, SEAmom, deserthorsewoman and 6 others like this. Next are two of the home-bred and now retired generation: Sunsmart's dam French Revolution (left), and her full brother Le Chasseur (right). Both are grandget of Dame du Buisson, a French Trotter mare we innocently imported into Australia when we came here in 1882 - she and a Bavarian Warmblood gelding were family members and we decided to bring them along and scrounge for years if necessary to do it. I used to ride this lovely, friendly, considerate ex-racer, ex-broodmare on trails as a child, and long story short, the local trotting association convinced my father to breed from her, and she haemorrhaged to death 12 hours after foaling. The foal was unfortunately nothing like her - miserable temper and one of the few horses I actually disliked - and also quite useless for racing purposes, but bred from to preserve the bloodline and assuage some guilt, I am sure... That stallion, French Legacy, died some years back in his mid 20s. Le Chasseur is French Legacy's only winner and was a reasonable racehorse, but had tendon issues that forced his retirement. He and French Revolution are very kind, friendly, tractable horses like their French grandmother, and have inherited her colour. French Revolution is 25 and Le Chasseur 21. The mare looks shaggy because she is mid-moult - the gelding has already moulted. These are the two that I've offered to care for at our place to reduce my father's work load a little. We have lots of pasture and wouldn't mind seeing their friendly faces here. My fingers are crossed they will come to Redmond soon - these are seriously good-natured animals. Koolio, Northernstar, Blue and 5 others like this. Remali, SEAmom, EquineBovine and 5 others like this. This is Dezba, the mare whose last week's race video I linked the 40+ group to (can post that here later). She is a little greyhound of a mare who was basically doomed to become dog food before reaching maturity, and my father had liked the look of her at the training track, so he took her on as a project a year ago, and she is blossoming. Just about to turn 7, she has now accrued 11 placings with my father training and driving, and is happy and relaxed on and off track. She is a real sweetheart and, like lots of horses that get unhappy in mainstream stables, really benefits from a personal touch. Dezba, La Jolie, Frog (don't ask ), Rosie, and La Cherie. All the horses to the right of Dezba are by French Legacy, never made it past trials, and are in their teens. None of them would be particularly brilliant to ride either - one is very small and nervous, another quite grumpy, Frog is a big chicken - scared of his own shadow despite lots of work from yearling age and a rusted-on follower of other horses who freaks out the moment he is a few metres from his own kind. Jolie has badly turned-out legs, a birth defect. Having such a large quantity of excess animals hanging around is one of the things that has made sure I've never bred a horse myself: I took warning. I know a few of you said my father is lovely to have kept all his retired horses, and that's true, but life is also somewhat boring for them, so I prefer to have a small number of horses so I can have more time for each, and to have them free ranging. Having said that, my father was also interested in horse welfare and the living conditions of his horses are a vast improvement on the way riding horses in Europe are generally kept. He made sure to have 4m x 4m loose boxes for plenty of movement and day turnout with considerable room to move, and at least one paddock mate for most of the horses. Celeste, Northernstar, Roadyy and 4 others like this. Remali, flytobecat, SEAmom and 5 others like this. I really like the look of this one: He reminds me of an Andalusian in his bearing, plus face, mane and tail. Because he is relatively fine-boned, my father is giving him time to mature before racing him. Rising 4, I think he will make a fine mature horse in a year or two and to kill two birds with one stone, I have offered to adopt him post-racing. This means my father doesn't have to worry about what will happen to Baralu should the horse outlive him, and that when Sunsmart retires I will have another nice horse to ride. Baralu is a rig - he has retained testicles in his body cavity - which means he is a sterile stallion. This also has implications for the kind of home he can go to later. Having said that, he has a testosterone-antagonist implant which is a chemical method of achieving, for around a year at a time, similar results to physically gelding a horse. Still, you can see that his attitude to the dog is quite similar to Julian's: Both of them would kill a dog if they could corner one. Baralu is very friendly to people, but overly playful and boisterous, and still a bit of a handful, as still in the early stages of his education. Koolio, Northernstar, Roadyy and 5 others like this. Remali, SEAmom, EquineBovine and 7 others like this. Frog, full brother to Rosie and Jolie. Cherie and Rosie. Cherie is a full sister to Chasseur and French Revolution. Rosie is a full sister to Frog and Jolie, and these three were out of Alfa Dynasty, a mare my father raced at the same time he had Mediterranean, and who had one win and 14 placings while my father was qualifying to be a licensed reinsman. Alfa Dynasty died in her early 20s of a ruptured bowel nearly a decade ago. The Sunbird Hanover died of a twisted bowel at age 24. French Legacy, the Bavarian Warmblood Mingo, and Mediterranean died of age-related illnesses in their mid-to-late 20s - the mare just went to sleep in her loose box one night and never woke up - the most peaceful departure we've had. My father's first ever race mare, Kiwi Logan, had a fabulous debut season culminating in runner-up in the Triple Crown age classic final, but she collapsed and died like Hickstead only a few months later, after a flawless training run. Another little mare broke her leg on track in the 1990s. Chip had a full sister who died young of impaction colic, and Colirini, the unraced mother of Chasseur, Cherie and French Revolution also died of a twisted bowel while Cherie was still at foot. Mediterranean also had a foal by French Legacy, but he died of impaction colic also. Interestingly, all the bowel-related deaths were in retired or otherwise sedentary horses: We never had one in a horse that was in training. I think that's everyone accounted for. My own late Arabian mare, you've already seen. Koolio, Northernstar, Blue and 3 others like this. Remali, SEAmom, EquineBovine and 4 others like this. Because I'm trying to be efficient here, I am including below a reprint of a post I did when I first joined this forum in February 2014. It gives a little general background in summary format. Hiya all, I came across this forum when searching for somewhere with quality and interesting horse related discussions, and am really impressed with how international it is and the general standard of posting and conduct. It's so cool to get snippets of the lives of other riders living in other places and I love the photos. I get to see places I've not travelled and see how things are done there! And it amazes me how universal some things are. 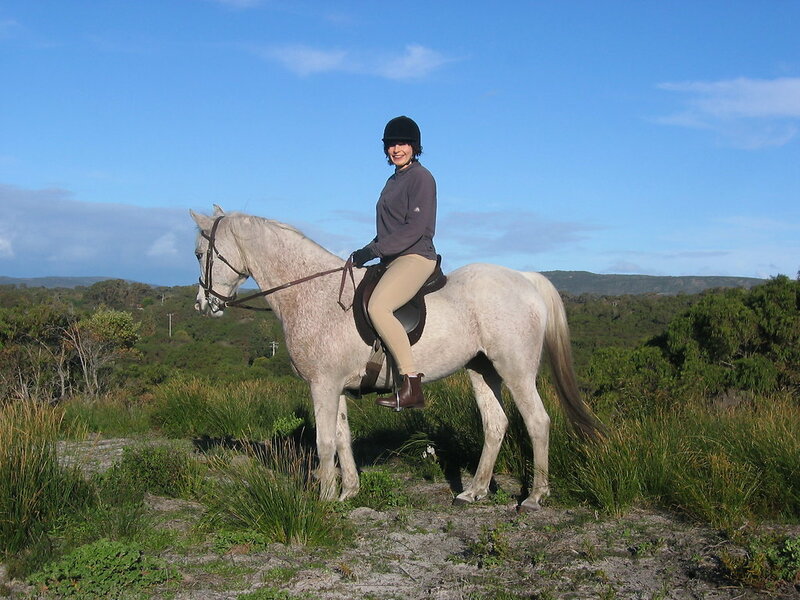 I'm a European who moved to Australia as a littlie, but not before I learnt to ride. On huge Warmbloods, that's the way it's done there: They didn't give kids ponies, just a ladder! I remember how high up it felt when I finally got on top of that Mt Everest of an animal, and how I desperately didn't want to fall off, so of course I immediately did, which was kind of good because the fear of falling is usually far worse than the actual thing. I'm actually really grateful for the regimented equine education I had as a beginner, what with lots of group arena riding, figures, basic dressage: It stood me in good stead ever after. In Australia I grew up on a horse stud because my father, who is horse obsessed, didn't seem to know when to stop breeding them! He got into trotters because of a pet mare from France whom he brought out, and I currently ride a great-grandson of hers who is a lot of fun. My personal preference has always been for riding, but when you're in a harness family even your Arabian endurance mare ends up being cart-broken! I grew up endurance and trail riding, attending flag-racing and novelties gymkhanas, and practising dressage and tricks in the back paddock. My jumping career didn't last long because my legs grew so long that even if the horse clears the jump, my feet, which would hang far below even on a Clydesdale, knock over the jump. A bow right here to any Americans reading: You guys pioneered bale building, thank you! One of your compatriots, Andrew Morrison of strawbale.com, was our most useful resource for building that kind of house: We were novices, and it's been something of a journey. 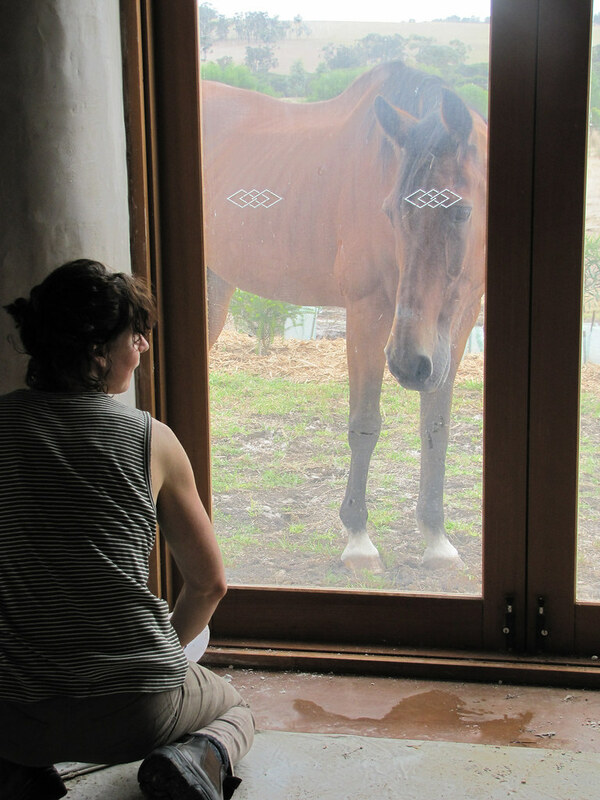 At one stage, before plastering, one of our horses tried to eat our dining room! Well, best wishes to all, and happy riding! Northernstar, Woodhaven, Rob55 and 2 others like this. 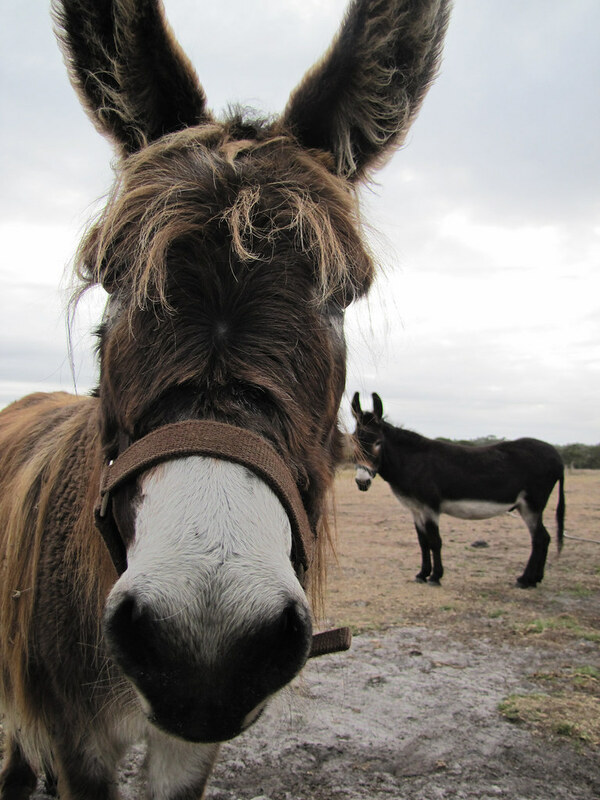 For additional context, here's a little video of DH's and my South Coast home two years ago, when the Donkey Society brought the group of donkeys we offered to adopt. One of them, Sparkle (tiny paint jenny), is basically blind and needs her long-term herdmates Mary Lou (long-haired Irish donkey, looks like a Rastafarian yak) and Don Quixote (classical looking donkey) as guide donkeys long term. Mary Lou and Don Quixote were terribly obese, and have been slimmed down considerably with grazing muzzles etc since we acquired them. 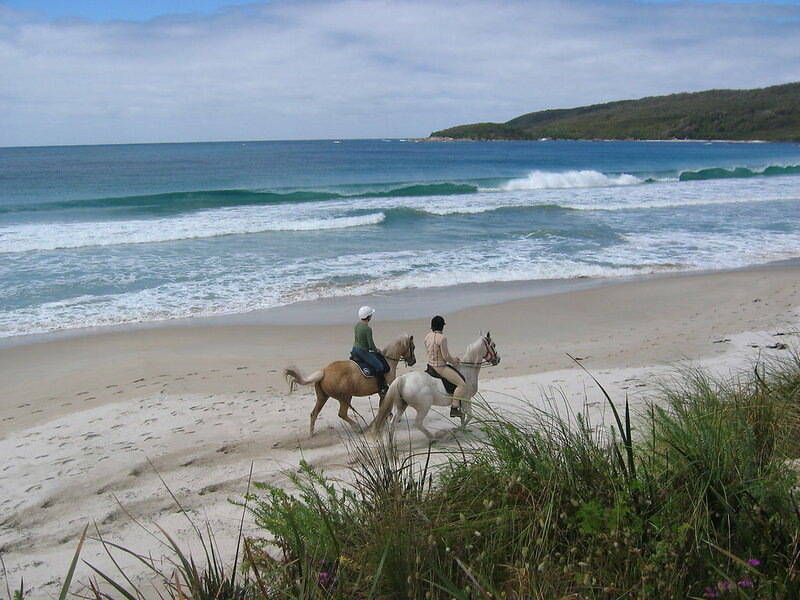 The video also shows the horses' initial reaction to the donkey arrival, and gives a glimpse of how South Coast conditions are a bit more lush than West Coast. Remali, Northernstar, Yogiwick and 1 others like this. 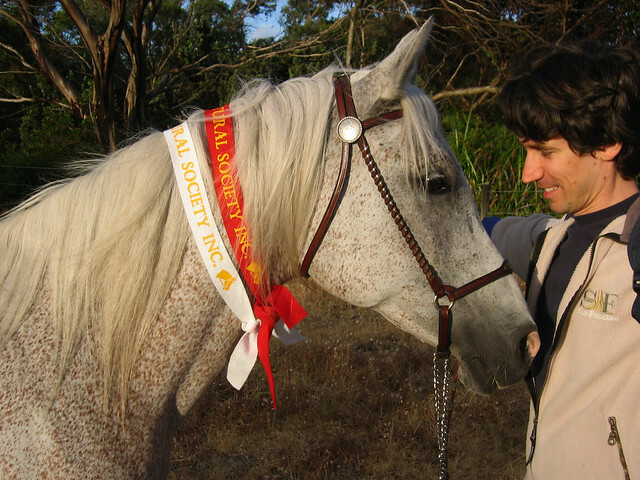 Some relatively recent photos of me with my own horses. My late mare aged 27 at a beach outing with friends. Same mare, same age, some relaxed trail riding to keep her in good shape and humour. Like many Polish/Crabbet Arabians she was a super endurance horse in her prime. Also great at novelties like bending and barrel races, saddle trotting races, etc. Was fun to do dressage with and had great flying changes, which we started doing just for fun in the back paddock when I was growing up. I had this mare for 31 years. When I bought her as a yearling, I was 11 and we didn't realise I was going to be 5'11" at maturity. Still, like lots of Arabs, this one was up to it. She was the first horse I educated from scratch. My husband with her after I had entered her in one led and one ridden open-breed open-age class, just for fun and because she was looking so wonderful for her age, at our local agricultural show when she was 27 and due to my career commitments and travel had had a ten-year hiatus from any sort of competition. The next oldest horse was more than ten years her junior, and the judge nearly fainted when I told him how old she was after the competition. Early stages of re-educating my French Trotter/SB cross Sunsmart from harness to ridden. Wallaby, Remali, SEAmom and 3 others like this. You don't get that many harness photos on HF so I thought I'd post it! Remali, SEAmom, egrogan and 8 others like this.